150 million opportunities to care. To connect. While we strive to get it right every time, we know we can always do better on our commitment to become the best airline in the world. Over the past year, we’ve been focused on putting caring at the center of everything we do. And we’re setting our employees up for success to serve you in the moment with the best training, tools and technology. Every customer. Every Flight. Every Day. Connections Matter because we’re all on this journey together. You deserve to feel that we’re with you every step of the way. These customer stories remind us of what we can achieve when caring comes first. A busy mom leaves a priceless package on board a plane and is stunned by a late-night delivery. When someone who doesn't even know you, goes out of their way to get something so important back to you it's just an astonishing feeling. 23 students are stuck in New York City traffic with less than an hour before their flight takes off. I’m just blown away by the staff at United and how they went the extra mile to handle our flight and situation with kindness and care. A mother and daughter saying goodbye, possibly for the last time, receive a precious gift from a stranger. A 4-month-old baby in desperate need of surgery will miss her flight unless a gate agent breaks the rules. A grieving daughter, on her way to a funeral, leaves the only copy of the eulogy at the airport. I was headed to my father-in-law’s funeral. Right after takeoff, I realized the laptop with everything I needed was gone. In the aftermath of a deadly hurricane, a single mom sets out in search of a new life for her family. They didn't know me at all, and yet they showed me kindness that empathy led me to see that I wasn't alone. A bus accident leaves passengers stranded far from home. Officials reach out to United. When we got to the airport, United folks were there for us waiting with wheelchairs. I’ve never been a VIP before, but I was that day. A couple is left stranded and heartbroken in China when their adoption falls through. It was the saddest day of my life when I talked to Undra, and how she took care of me meant the world to me, and gave me hope. 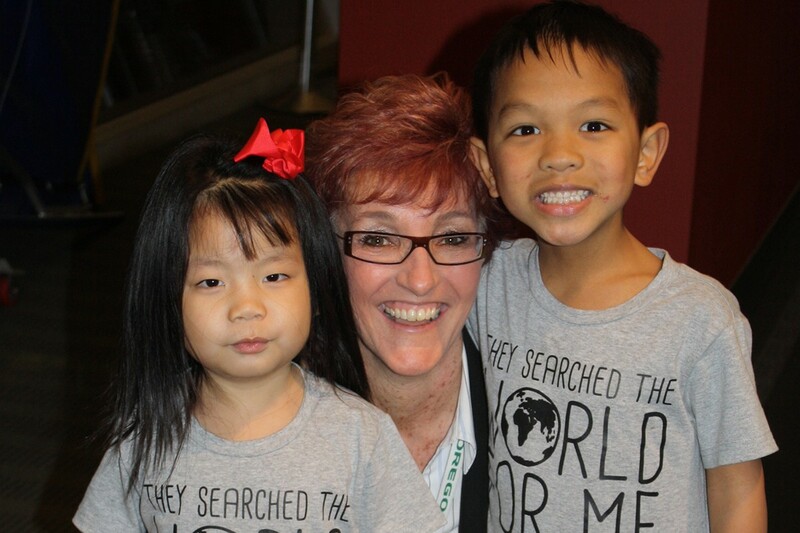 Customer Service Representative Lisa Langdon's first language might surprise most people. Born to two deaf parents, she learned American Sign Language before she was able to speak, a skill that still plays an important role in her life and career to this day. 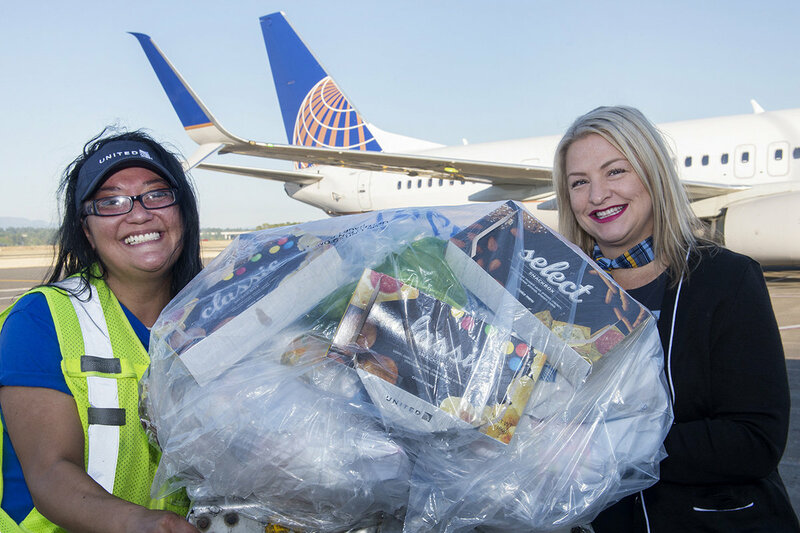 Portland, Oregon, Ramp Service Employee Carrol Buczarski and Lead Customer Service Representative Kelly Pederson never would have dreamed that an afternoon spent digging through the garbage would turn them into local celebrities. But after a customer left her wedding ring and engagement rings in a Buy on Board tapas box that was inadvertently discarded during a recent flight, that's the position in which they found themselves. Kenny Neal's heart pounded as he retraced his steps through Newark International Airport's Terminal C, desperately looking for his missing bank bag. Finally, out of time Neal accepted defeat and lined up to board his flight to New Orleans, thinking he would never see the money again. It was July 21, just before midnight, and United Operations Supervisor Art Martinez's shift was winding down. On most nights he'd be heading home. Instead, he was about to play an important role in turning one customer's travel nightmare into a story of compassion and perseverance.